Thank you for your time and guidance on Saturday – you will be happier to know that we have a very different dog in the house! She is much calmer and off the sofa! (She still tries occasionally to get on but if quickly instructed gets off!). The biting has almost stopped completely and if she starts we use uh uh and she starts licking instead! She has not been to the toilet in the house since you left- incredible. As you can see we are delighted with the results so far. I wanted to send a quick email to let you both know how much Booker & I enjoyed our first class today. I thought the set up was great, the teaching was fantastic and the training exercises are easy to practice at home. Really happy I chose your company! Thanks also for the email containing the training notes, we'll use them for daily practice and I've bought a Mekuti harness so hopefully that will help his lead walking. See you next week"
"Tilly is now 5 yrs old and a pleasure to be with. Gordon and I tried hard with the loose lead training you taught us and it has paid off in spades! Here are two pics of us all in the Lakes this year. Up hill and down dale Tilly walks well on her lead. Of course, being a nose led scent hound, she is not perfect! Tilly also sits quietly under pub tables whilst we eat, hurrah!! So, THANK YOU for teaching us your positive re-enforcement training methods, with patience and time they worked well for all 3 of us and we are all happy." "Meeting Sue was an absolute godsend. We have two terriers who pretty much ruled the roost last year at this time and I was forever shouting and gesturing madly to get their attention and show them I was in charge. In August at 5 months pregnant I was very concerned at how a baby would fit into the picture: I imagined absolute chaos with all the barking & crying! From the very first session, Sue showed me that by being calm, patient and consistent with my dogs, I could really get their attention and enter into a much more positive relationship with them. Not only did she help me to understand their behaviour and learn to communicate constructively with them, Sue was an absolute fount of knowledge on practical ideas to ready the house for a harmonious dog and baby cohabitation. I can not recommend her methods more highly and only wish we'd met years ago - it would have saved us all a whole lot of stress. Even with our new bald puppy arrival, the dogs seem content and, most of the time, obedient. They'll never be totally biddable though, it's not the terrier way!" To say I found the session helpful is the understatement of the year! You are fantastic. I know it's very early days, but so far today - not a single bite since you've been gone. After Woof had had a very nice deep sleep, we've done some more training - went and bought Barking Heads (phoned them and no didn't need Little Big Foot) and got a Booster Treat Ball which Woof had half her lunch from after playing drop in the bowl and with the other half with me. I've ordered loads more stag bars and got hold of the nylabone with marrowbone in them (can't say I like the look of them - but hey I'm sure Woof will) and a black Kong which will fill with some more kibble later - I've soaked some to make it a yummy puppy paste (yuk!). I've ordered the boomer ball and dog pyramid - so all progress. Woof says a mega thanks for the training for me so I'm a better owner to her. Very much looking forward to the Heath tomorrow. When my husband comes home this evening - we're going to take her off lead in the nearby wasteland! A million thanks - my love for Woof is restored (realise that it won't always be plain sailing - but at least the brick wall I had built up in my mind now has windows in it!" "My Border Terrier, Jack, has been a "student" of Tip Top Dog School since he was 10 weeks old; he has just turned one year old. In the Kindergarten classes, we spent a lot of time handling each other's puppies and introducing them to what happens in a veterinary office. I hadn't realised how important this was until Jack became ill. Yesterday he had an hour long examination by a neurologist he had never met, and I was taken aback when the vet (clearly impressed) said, "Jack is obviously used to being handled." Jack took the entire examination in his stride, not flinching or reacting adversely to anything the vet did to him, particularly when examining his head and face in considerable detail. I also realised that Jack's regular vets had commented on how well-behaved and calm he was when he spent days in their hospital. So thanks, Sue and Barbara, for your foresight in training Jack not only to be obedient, but to prepare him for coping magnificently with difficult situations." "Roger is doing really well on the long line. So a MASSIVE thank you from us all!! We really enjoyed your approach to both us and Roger, it was encouraging and easy to follow, even if it doesn't always work when I'm doing it, I know eventually it will and it usually does. But, what's great is that once we get into the field I let the line down and he follows along like a good little boy! He is known to sometimes take his sweet time, but I have even managed to compete with the interest of other dogs in the distance!" "I am here to thank Sue for helping me and Betty. When you first came to visit Betty she acted very strangely and then a few weeks later in utter desperation I called you as I was worried about her recall - actually thought she was either deaf or blind! But she was neither - just a stubborn golden shepherd doodle! So thanks Sue for teaching me and Betty - who at 17 weeks is doing well - this enabled me to take a break and have a holiday....This way - and not too much talking which, as you can imagine after reading this, is very difficult for me ..... On a serious note - so grateful and I realise how important reinforcement is. Thank you." "My daughter was petrified of dogs which would ultimately lead to some terrible family outings to the park. I am pleased to say that after spending time with Sue and Ripley she was cured. Sue managed to persuade our daughter gradually to get closer with Ripley, whether stroking him in the back of her car, coming to watch him in classes and eventually taking her for walks in the park. I really sympathise with children and parents who are scared of dogs, but I believe time with Sue and Ripley will help people conquer all their fears." 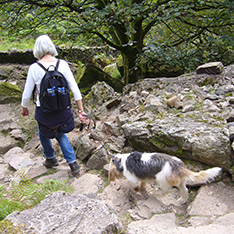 "My extreme fear of dogs has gradually got worse over the years and I recently decided I needed to get some help in managing to be around dogs, particularly outdoors with my children. I'm so glad I found Sue. Over a series of sessions she has helped me to cope much better and keep my fear under control. She started me off by meeting just one friendly dog on a lead (even that was hard for me at first) and now, under her guidance, I am able to walk with several dogs off lead in dense woodland where we encounter many other dogs of all types. She has taught me various techniques and exercises for handling different situations with dogs, and also shown me how to 'read' dogs' behaviour too so that I am able to feel much more comfortable and less anxious around them. I'm really pleased with my progress and my family and friends have definitely noticed the difference in my reactions to dogs." "I'm so pleased that we are in training with Sue. My beautiful Eurasier and myself are learning great discipline and manners all thanks to Sue. As a first time dog owner I feel proud and confident, again all thanks to Sue." "I would like to thank Sue for helping me stop Bella's behaviour of running off into the bushes! She is a better and happier dog now, after all your advice and help on training her on a long lead and stopping her making noise when travelling! Thanks for your help, you are the best!" "Thank you very much, it was really worthwhile and I really enjoyed it. I love watching Sue work with dogs. I can only describe it as joyful! All in all it was a really worthwhile day and has "unlocked" my phobia about "downs"! And Jack has been doing downs in front of me in a rather quizzical and endearing way as I drink my tea! He's not bothered of course!" "I would like to say a huge thank you to Sue and Barbara for their kindness and patience with the owners and dogs and the Tip Top Training. In my opinion this is the best dog training that you could ever wish for. On a Thursday we meet for an hour on Hampstead Heath and, believe it or not, the dogs are well behaved and do what Sue and Barbara ask of them - the problem is the owners. Sometimes we have selective hearing or panic too readily. But even with us, they are kind and encouraging. On Sundays, classes go indoors to St Mary's Church Hall in Abbey Road (near the famous zebra crossing). Why do I rate Sue and Barbara so highly - firstly for their patience and encouragement to us the owners - I never thought my puppy would ever behave on Hampstead Heath and then adapt to the different environment of the Church Hall, but she has. Also they have taught me how to cope when my puppy barks out of place, pulls on the lead or gets over excited and starts biting. All in all I feel so much more able to cope. Secondly it is the original ideas that they come up with to engage our puppies - I have learnt to get my puppy to walk along fallen trees, to run through hollow trees, to weave through and crawl under my legs and to walk backwards - that's apart from stay, wait, (yes there is a huge difference between those two commands) sit, down, stand, walk on, heal, etc. Best of all I feel much more competent as a first time dog owner and know that if there is any problem all I have to do is pick up the phone and ask them for help. Thank you so much Sue and Barbara for making life with Bobbie a real joy instead of a huge worry." "Our Coton de Tulear, Oscar has been loved & trained by Barbara since arriving into our home at 10 weeks of age. London living with a small dog & pet parenting was all new to us so we were relieved to find Barbara & Sue who provided instant guidance & support, the home visits were especially beneficial. "Puppy kindergarten" provided a great forum to meet other puppies & their owners, share the trials & tribulations of our "week with Oscar" whilst absorbing invaluable training tips for "homework". We have graduated to the Heath where Oscar is currently enjoying new lessons of loose lead walking & recall training with his Tip Top friends..."
"I have a Border Collie, when I got her she was 16 weeks old, after settling her in she became very naughty. She would run out the door whenever it was opened and run away. When I called her she would ignore me and wait until I caught up and would run away again - in short she was running rings around me. Not only was this a problem, she was unsociable, frightened of people and other dogs, when they sniffed or tried to play she would run out the park. After a short while I started to give up on her and thought I may have to re home her. As a last resort I turned to Tip Top Training school. Sue has worked wonders with me, and in turn my dog Candy is a pleasure to have. She now plays with her doggie friends, listens and obeys when called. In fact she is a very clever dog and this turn around happened with just two lessons. I would recommend Tip Top to anyone who is having trouble with their dog and can guarantee 100 percent a turn around in your dogs behaviour." "I have a miniature schnauzer – Rocky – I was having incredible problems with handling him during our walks. I just didn’t seem to have any control and I was losing confidence with my ability to handle him outside the house. Rocky has had a few changes in his life recently with moves from one country to another and flat moving so he was rather disorientated and stressed and he was even starting to challenge people on our walks. I rang Sue Goulden who came around to my home and helped me re-train Rocky's brain with advice on the dog bridle, the clucking method of Loose Lead Walking, the DAP collar and change of food. It all sounds like a lot of changes but the difference in Rocky has been fantastic. He now knows his limits, he is absolutely responsive to me on our walks and I can now control him with the clucking method. I just can’t say what a difference it has made to both Rocky and me. So, from being scared to walk an uncontrollable dog around the streets of London, I have now taken Rocky through Highgate Woods and Queenswood, walked through the streets of Muswell Hill without any problems – it is a great feeling – he is a lovely dog and Sue has given me the confidence and knowledge to handle him. I plan to carry on with the training and I plan to see Sue again for reinforcement." "The loose lead workshop changed my life! No, seriously – I am the owner of a gorgeous 8 month old 45kg Newfoundland rather large and very willful puppy. We attend regular obedience classes with Barbara and Sue and decided to take the loose lead workshop when Bungle was about 6 months. Prior to this, walking on the lead was becoming an increasingly difficult experience and not enjoyable for either Bungle or myself. Being such a strong dog, it was getting to the point where he was almost pulling flat onto my face and dragging me along the ground. He took to the method quite quickly and I found it easy to learn. I got into the habit of never taking him out for a walk without bringing treats along. I cannot emphasise enough how important repetition and persistence is but the technique makes such a difference and is so rewarding for both dog and owner. Honestly, I don’t know why anyone would want to use any other method. Simply wonderful! " "The Friday 121 session was great. It was just what I needed, getting back to basics and rethinking through my actions. We've had a great weekend with Molly, she is responding really well, and she seems to enjoy her walks even more as we are now breaking them up with training. The Heath sessions I have always found extremely rewarding. Working with Molly in a "real" environment is a good challenge for us both, but also prepares me and draws my attention to challenges that I may not have previously considered. The private session allowed me to focus much more, providing a deeper understanding of what was required as we had the time to put it into practice. Tip Top Dog School has provided me with such a positive experience. Advice I have put into practice always has fast results, as long as I remain consistent, but if something doesn't quite work, both Barbara and Sue are able to find an alternative solution. The school practices a good balance of theory and hands on experience in a positive atmosphere. Both Sue and Barbara are extremely approachable and are always happy to discuss issues and provide tips and advice." "Before Tip Top our ten week old Macho had issues with fear of strangers, toilet training, and a few other bothers. Sue and Barbara helped make our puppy the dog he deserved to be, and it's really a night & day difference. Beyond their outstanding teaching ability and knowledge the classes are also excellently managed with never a moment of chaos - as much as the puppies try. Thank you so much for your help, we'd be lost chasing our own tails if not for you!" "Anya and I have been attending the Tip Top Dog School since I first brought her home at 10 weeks old. I had never had a dog before and found it difficult to know if I was doing the right thing. I was on the phone to Barbara constantly and to be honest I'm not sure if we could have survived without the Tip Top team! Now at 10 months, Anya is the happiest most well behaved and well socialised dog in the neighbourhood! The highlight of her week is going to the hall on Sunday. You'd never know a dog could be so excited about training but she loves it!" "Since attending training at Tip Top Elvis my Westie Elvis has been transformed into a happy and contented dog. His behaviour has improved immeasurably when he is at home. His daily walks in the park have become a joyful experience for both Elvis and myself as well as the passing joggers and cyclists he no longer feels compelled to chase! Elvis is very keen to learn and is very enthusiastic during training, he can't wait to get in to the hall and start working. We are especially fond of the outdoor classes on Hampstead Heath and have found it very useful to train outdoors. Sue and Barbara have given me so much advice and guidance and I am so grateful to them for their time and patience. Elvis and myself have enjoyed our experience at Tip Top so much we have stayed on and I am now assisting Sue and Barbara." "We love the classes at Tip Top as Barbara and Sue train you to train your dog. Unconditional positive regard, patience and loads of fun sum up the experience of training with Tip Top. Our border collie, Willow, enjoys it too!" "Taking on two puppies was never going to be easy. Taking on a nine week old Bassett Hound and seven week old Great Dane puppy at the same time was perhaps madness but we have had nothing but joy and fun from the whole process thanks to the guiding light of Sue and all the Tip Top team. Even before we got Penny and Ella, Sue was on hand to advise us on all the paraphernalia required to puppy proof our lives and fully prepare us for the months and indeed years to come. From day 1 attending puppy kindergarten we were confident that under Sue’s instruction and expertise we were giving the girls the best start in life. Having owned many dogs in the past I was amazed at just how much Sue has taught us. We invested early on in one to one sessions to supplement the regular puppy class. Both have been invaluable in making sure we are equipped with two happy, well behaved, widely socialised dogs. It hasn’t all been plain sailing, there was a firework incident, toilet training took longer than expected and as ‘sisters’ our girls can be prone to too much rough and tumble but through every teething issue Sue’s advice and support has been spot on and in many cases above and beyond the call of duty. We think of her as the canine equivalent to Mary Poppins – takes no nonsense but with a magical power to restore harmony and a lot of fun in the process. One thing that we hadn’t counted on before becoming ‘Tip Toppers’ was the great friendships we’ve made with Sue’s other clients and it’s been a real bonus to get to know such a lovely group of people and dogs all going through the same experiences. 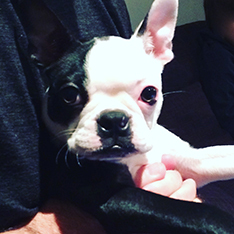 Tip Top is much more than the best dog training school in London, it’s a part of the family." "Recently, I applied to re-home a dog from The Mayhew Rescue Centre. Once we had been checked out by The Mayhew, we brought home Tallulah, a big friendly two year old black labrador, who now lives happily with us and our nine year old lab, Petal. To help the “bonding” process and rectify a problem I had getting her to respond to my recall when she had wandered off, I started attending The Tip Top Dog School’s training classes run by Sue Goulden and Barbara Nedas. Tallulah responded well and really enjoys the lessons which have proved extremely useful to me, as Sue and Barbara’s “firm yet gentle” methods have helped me correct and improve my training abilities. I’ve found that there really is no substitute to attending good training classes. They enable you to improve your training skills when there are lots of distractions around, thereby feeling much more confident when you’re out and about with your dog, keep abreast of the latest news, views, veterinary advice and training techniques, (Sue and Barbara are a constant source of knowledge), introduce your dog to lots of new friends and enjoy a real sense of achievement that learning in a positive, friendly environment brings – and when it comes to all of the above, dare I say it - Tip Top is Tip Top!" "Going to Tip Top Dog School for training fulfils all my requirements. Great tuition from Barbara and Sue, friendly, fun classes in clean pleasant surroundings. Easy parking and I only pay for the sessions we attend. Beau and I really enjoy our lessons together." "My daughter Josephine and her long haired dachshund Ziggy have been attending Tip Top for more than a year. Sue and Barbara treat each dog and owner as individuals and Ziggy has made good progress. At the beginning we had to drag Ziggy into the hall but now he trots in happily and greets all the other dogs. His confidence and obedience have both improved significantly as a result of his attendance. 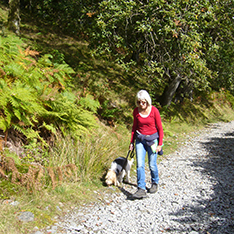 Sue and Barbara also give useful tips and advice about working with dogs at home. Josephine and Ziggy have become closer and both have learned a lot." "We could not recommend Sue and Barbara from the Tip Top dog training school more highly. Having taken a 6 week puppy course elsewhere before starting at Tip Top, we could see in comparison that the level of training and dedication with Tip Top, was far superior and we regretted that we had not started with them in the first place. Not only are their methods of training effective, they use a personal approach and you feel part of community where they offer constant support. It is also very enjoyable, especially with the new addition of the outdoor Hampstead Heath training. Since Harley, our Goldendoodle puppy has been trained with Tip Top - at the classes and on 1 to 1 with Sue privately - we have been able to enjoy our lively, friendly dog so much more. Both Mitchell, Harley and myself will always be very grateful for this." "I highly recommend Tip Top Dog School to anyone with a new puppy or with an adult dog in need of a behavior "tune up." Barbara and Sue are lovely women who possess an uncanny ability to work with dogs in a firm yet gentle way. My family enrolled in the puppy socialization classes, puppy kindergarten classes and private sessions with Barbara. They helped us understand how to work with our new dog and equipped us with skills that have proven invaluable. By providing such a good framework for how to train our dog they have eliminated much of the difficulties associated with a new pooch. People are amazed at what a well- behaved dog we have. It is an added bonus that Barbara and Sue are lovely women that make dog training a pleasure rather than a chore." "I don’t know how I would have got through the first few months of being a first time puppy owner without the wonderful training skills learnt at Tip Top. From sleepless nights and a puppy who barely knew his name (let alone where to go to the toilet!) to displaying the commands “sit” “down” “stand” “off” “leave” and so on at the Discover Dogs show, and a certificate for passing the puppy foundation class in 2 months. Not only do Barbara & Sue and all the others at Tip Top provide superb training for dogs (and owners) but they also offer wonderful support and advice on all aspects of dog ownership. Dexter is now 7 months old and we still attend classes on a weekly basis, and will continue to do so, apparently it is never too late to teach a dog new tricks."